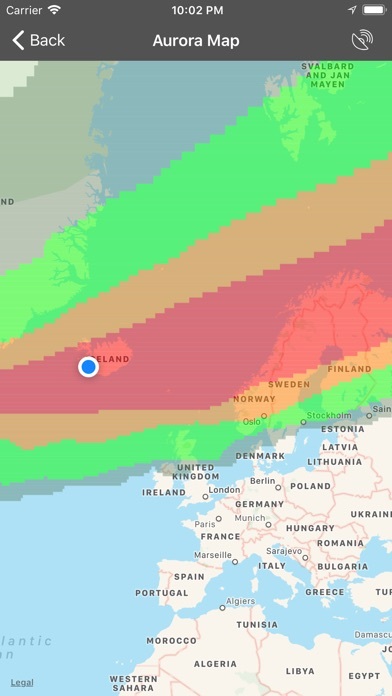 My Aurora Forecast is the best app for seeing the Northern Lights. Built with a sleek dark design, it appeals to both tourists and serious aurora watchers by telling you what you want to know - whether that is exactly how likely you are to see the aurora borealis or details about the solar winds and high-resolution sun imagery. 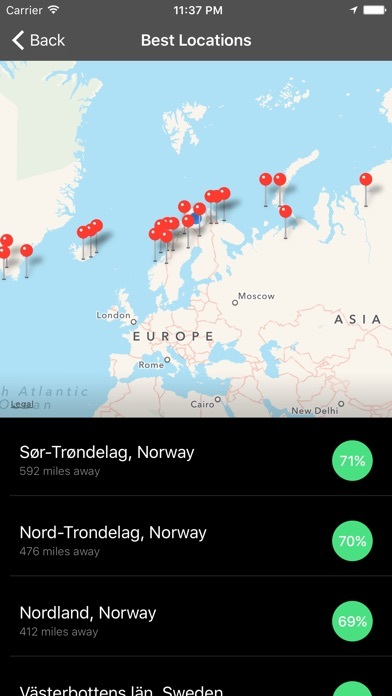 With this app, you'll be seeing the Northern Lights in no time. - Find the current KP index and how likely you are to see the Northern Lights in the United States or the rest of the world. - View a list of the best locations to view from right now. - Map showing how strong the aurora is around the world, based on the SWPC ovation auroral forecast. - Free push notifications when auroral activity is expected to be high. 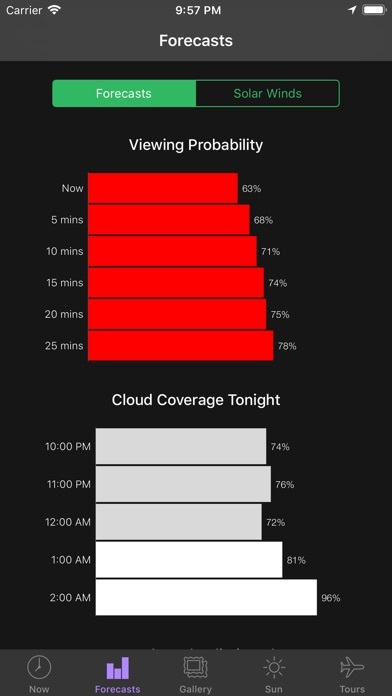 - Forecasts for the next hour, several hours and several weeks so you can plan your Northern Lights viewing long in advance (subject to weather conditions). 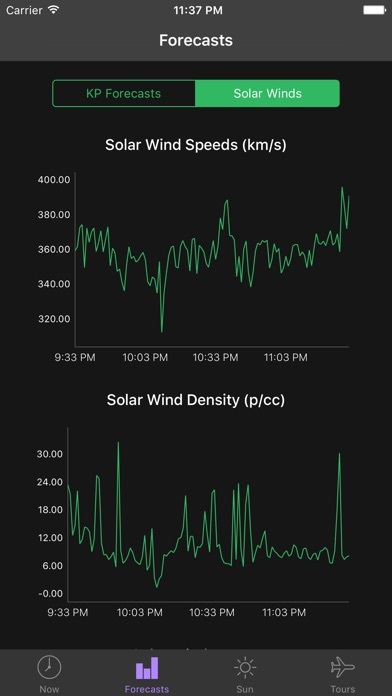 - Solar wind statistics and sun imagery. - Tour information so if you're considering to go to locations such as Iceland, Sweden, Finland or even Alaska or Canada, you'll be able to find tours that we can recommend to you. - Support for the latest iPhone and iPad (including split view). - Completely free of charge for all functionality, no in-app purchases. If you want the latest updates on geomagnetic activity and enjoy viewing the aurora borealis, this app is right for you. 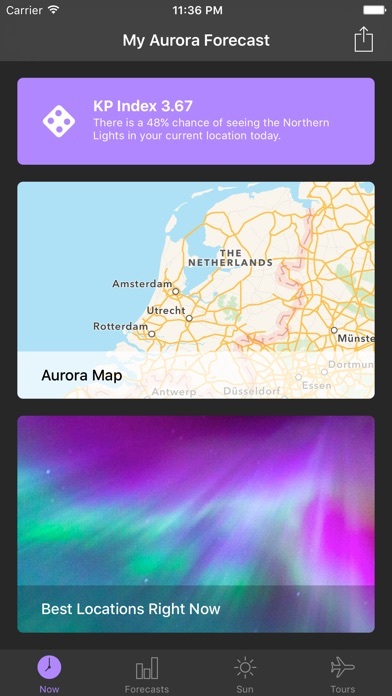 This version is ad-supported and is similar to other apps such as Aurora Forecast., AuroraWatch UK and Aurorasaurus. I uninstalled this app in less than 2 minutes. I totally understand you need ad revenue and for many apps I use regularly I will purchase the ad free versions. This app had such a horribly distracting ad at the bottom I couldn’t even get thru putting a location in and looking around before I decided to delete it. Plenty of free info on web and other apps that are not so obnoxious. Zero stars! Loved this app while on an aurora hunting trip to Alaska. The map, the one hour forecast and the multi day forecast were all amazingly accurate. Yes, I really enjoy Aurora, as I live in Alaska. Great for getting a rough idea as to where to find the Aurora, but the pin points on location of best viewing spots are way off. Pin point for Anchorage was located north of the entire state. ... free ads scrolling across the bottom thoroughly annoying. 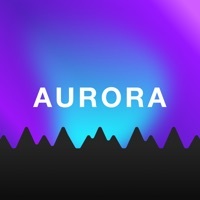 Used this app to successfully see aurora 4 times in a few days in Reykjavík. The conditions can change very quickly but the app did a great job of guiding us and the notifications worked too. Thank you! Got a notification, and a cool view of the lights! I have missed several aurora events because this app said there was no chance of an aurora... even the biggest aurora event In the last 10 years it couldn’t even predict that... which I also missed. This app is rubbish.